When we were working on Maternity Sewing, we were motivated to provide a resource for pregnant women that did not yet exist. 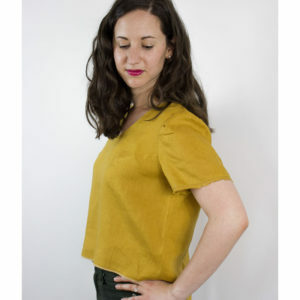 Contributing to the sewing community is one thing, but we also wanted to contribute on a larger scale. Since our focus is pregnant and nursing women, we sought out a charity with the same focus. We found the perfect one in Every Mother Counts (EMC). EMC is a non-profit organization dedicated to making pregnancy and childbirth safe for every mother, everywhere. Like them, we feel very strongly about maternal health and safe childbirth, and recognize that we are very privileged, having had the care we did when we were pregnant. Pregnancy and childbirth can be scary even with ready access to healthcare – but imagine having to walk 8 miles to a clinic while in labour. Or not seeing a doctor until you give birth. Giving birth on a mud floor with only a flashlight to see by. Or not even having soap for yourself and your baby to keep germs away. There are countless situations that we would not wish anyone to be in, especially in such a vulnerable state. 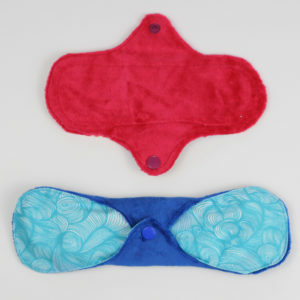 However, many women find themselves in exactly such situations. So we hope you will support Every Mother Counts with us, and give other women better opportunities at surviving pregnancy and childbirth. 303.000 women die every year due to complications during pregnancy and childbirth. For each of these deaths, an average of 4 orphans are left behind. These women are caretakers, community leaders and teachers, who ensure that children get food, education and clean water. 99% of these deaths take place in the developing world, and 98% of these deaths are preventable. Even in the US, 2 women die every day. Maternal deaths have nearly doubled over the past 25 years. Every Mother Counts provides grants to organizations in different countries that contribute to maternal health and safe childbirth. They inform, engage and mobilize audiences to take actions and raise funds that support maternal health programs around the world.They have completed grants in Malawi, Indonesia, Syria, Nepal and the US. These grants have been used for specific purposes such as portable solar power sources, establishing a laboratory, training midwives, medical supplies, transportation and educating whole communities. They have current grants in Tanzania, Haiti, India, Florida, Uganda, Bangladesh and Guatemala. 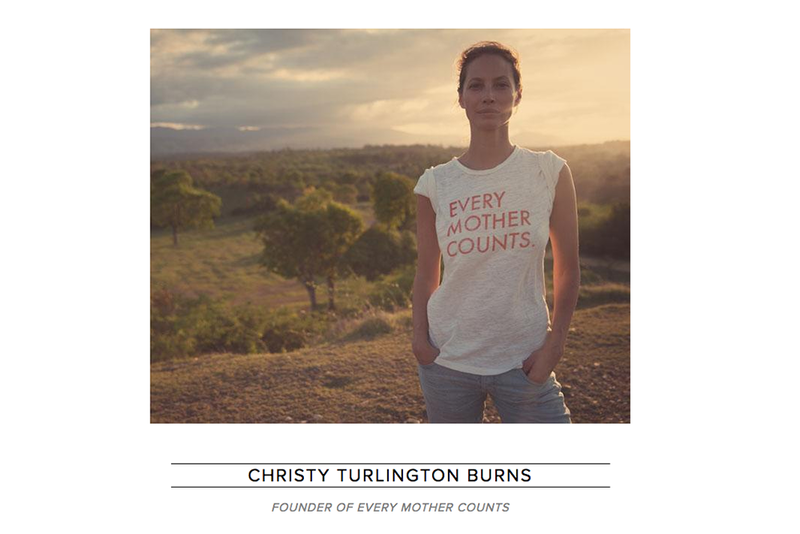 Every Mother Counts was launched in 2010 by Christy Turlington Burns, who had endured a childbirth complication herself. 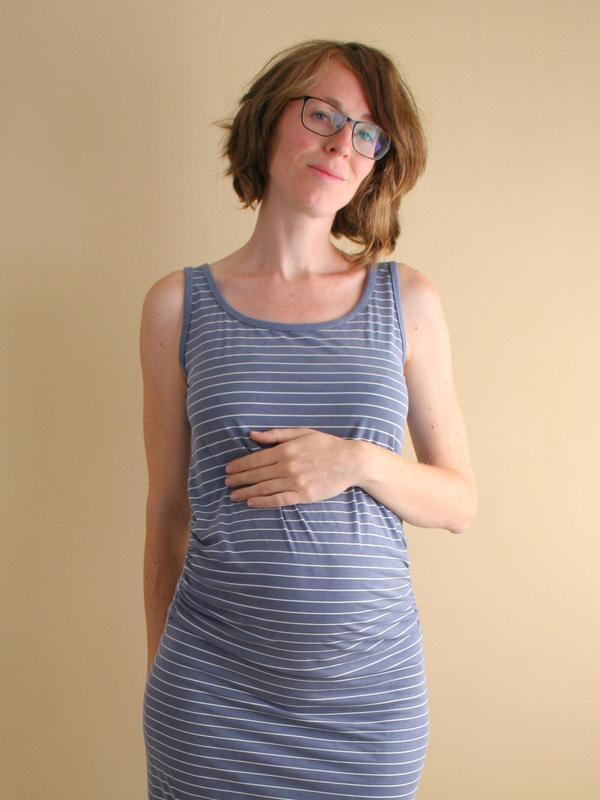 The goal upon founding was to heighten awareness about the global maternal health crisis. While advocacy remains a key focus, Every Mother Counts has evolved into a 501(c)(3) investing in programs around the world to ensure all women have access to quality maternal healthcare. Shop at the stores listed on Every Mother Counts. they donate a percentage (often 100%) of your purchase to EMC. Run for EMC. You can set up a fundraiser or participate in their sponsored runs around the US. 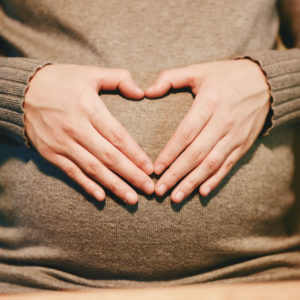 Take action to support bipartisan legislation, like the ‘Improving Access to Maternity Care Act’ to identify maternity care shortage areas and fill those gaps, that is currently before the United States Senate. We hope you’ll feel motivated to support Every Mother Counts with us! We’ll keep you up to date on the amounts we raise every year through our blog and newsletter. And we’d love to know if you decide to donate or take action as well. Just leave a comment, DM us on social media or send us an email!